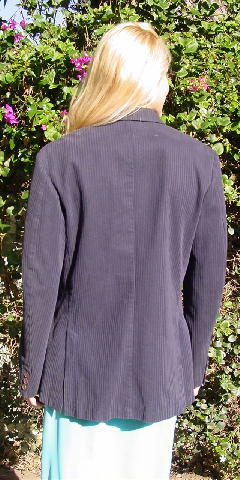 This black and eggplant striped jacket was made in Italy. 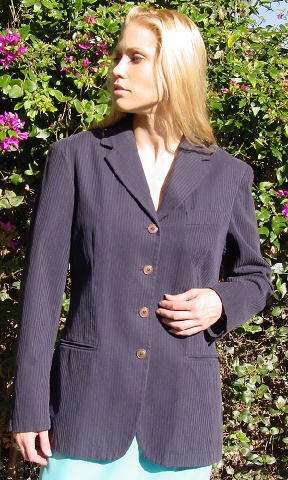 It's 100% cotton and has a 4-button front with 3-button long sleeves. 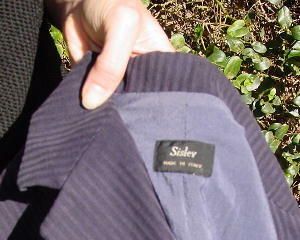 It has front horizontal slash pockets and a blue-gray lining. It was used in a music video with Henry Duarte jeans, a black bikini top, and retro style chunk wedge heels by Sky.